Atelier AM is composed of the husband-wife team of Alexandra and Michael Misczynski. This Los Angeles based design firm is known for its ability to create sensory experiences with subtle, textural palettes, mixing modernist pieces with antiques, and employing refined and muted colors and materials. 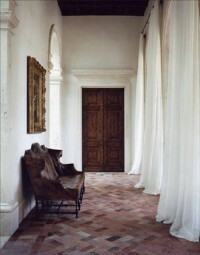 Interiors Atelier AM was published by Rizzoli New York in September 2012 and features the photography of François Halard.